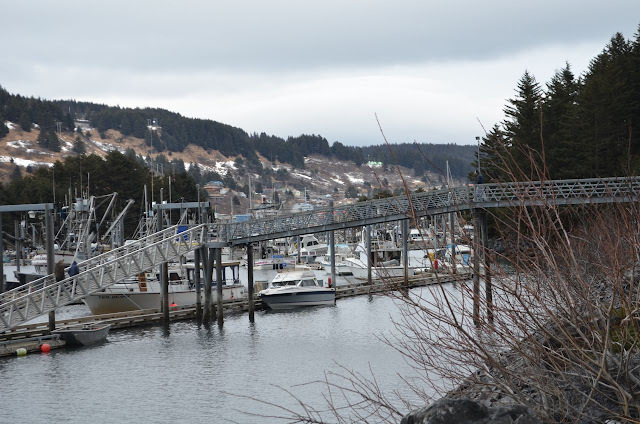 Kodiak is one of my favorite places to visit in Alaska. Every time I have been to Kodiak, I have literally learned and experienced something new, which has brought a real excitement factor to my Kodiak travels. 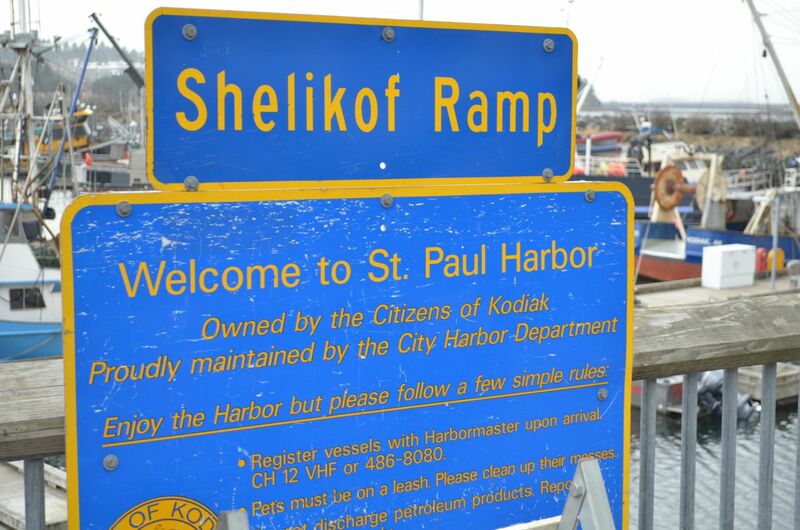 In April I traveled with two coworkers to Kodiak. 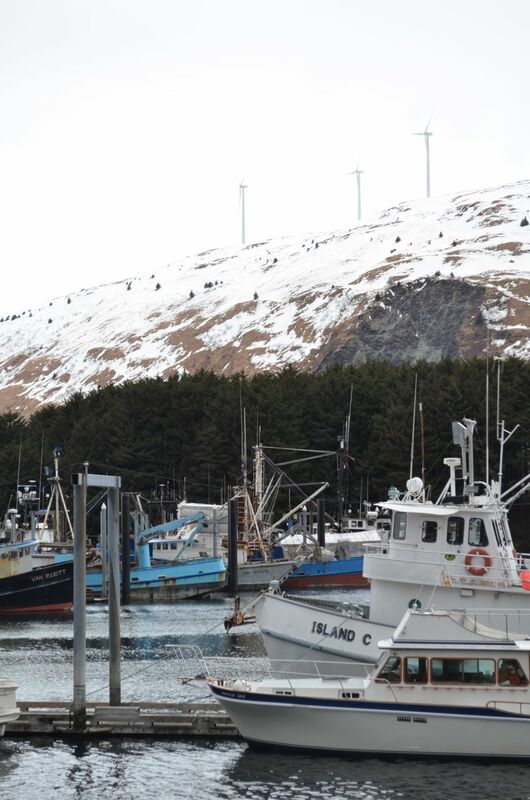 Joy works with me at ANTHC and Eliza works for the State of Alaska Tobacco Prevention and Control Program. After a full day of site visiting with Kodiak Area Native Association (KANA), Eliza, Joy and I visited the Kodiak Harbor and Kodiak Aquarium. 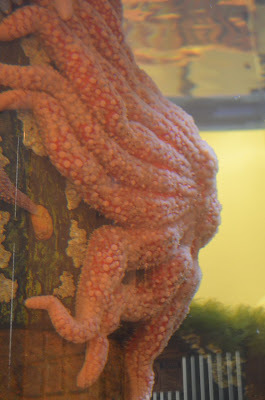 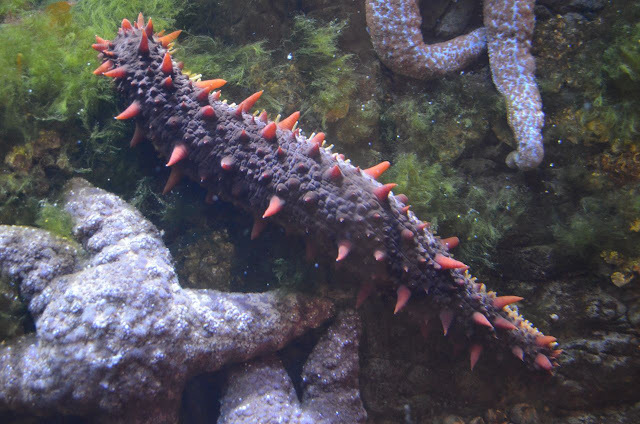 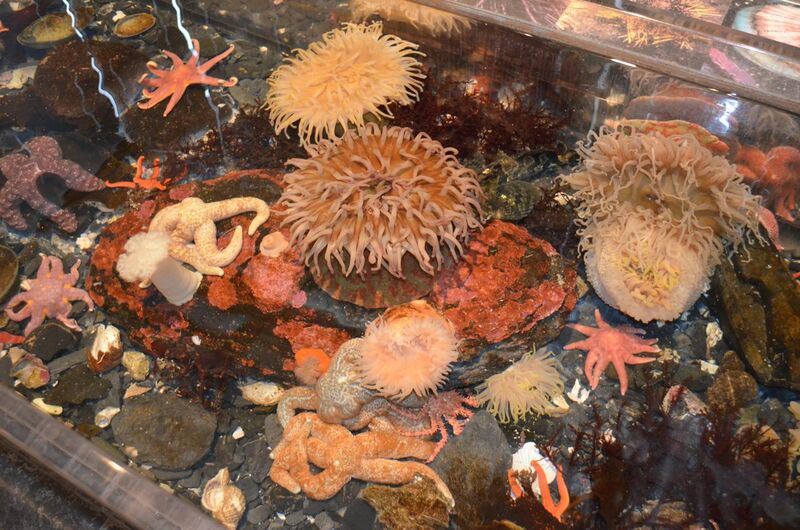 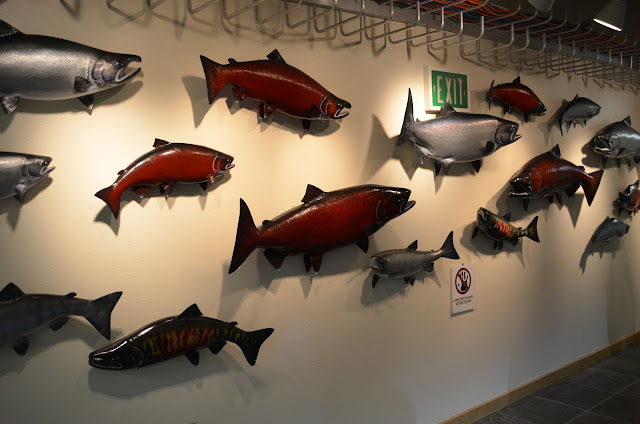 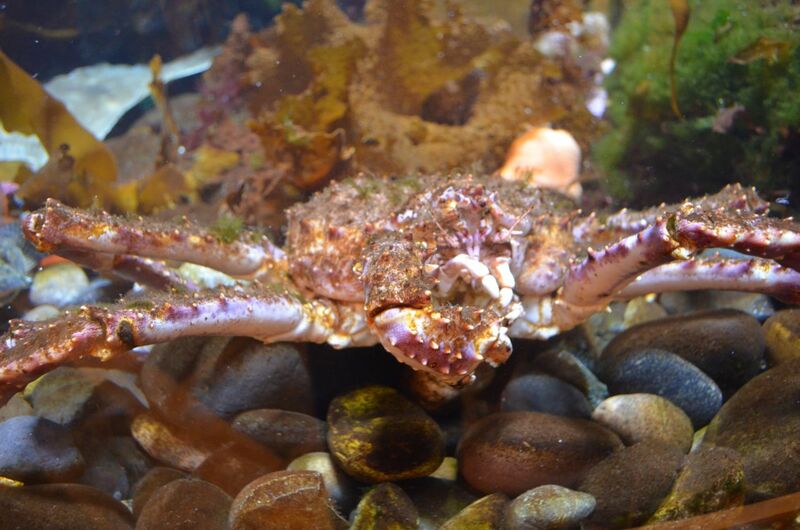 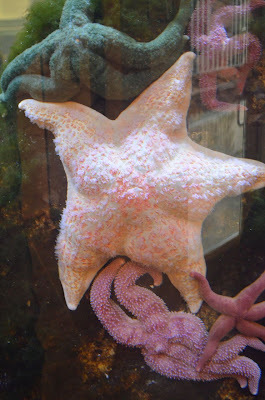 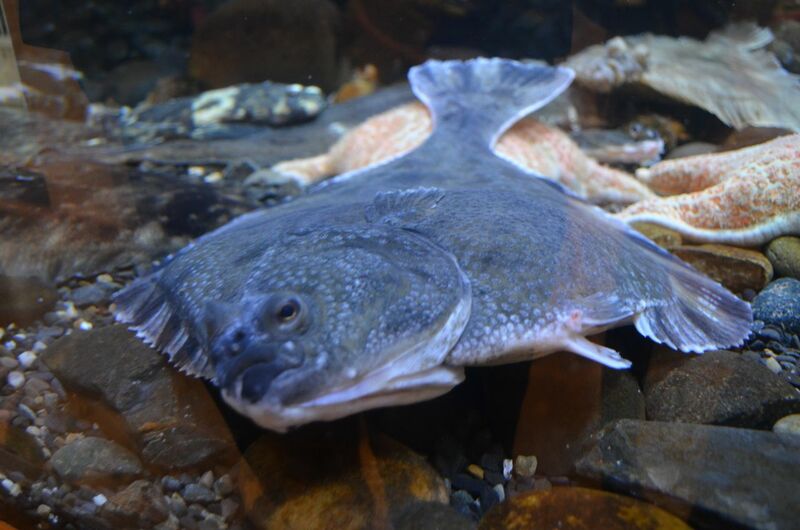 The aquarium included fish found in the Kodiak Harbor, including halibut, crabs, trout, sea urchins and star fish. 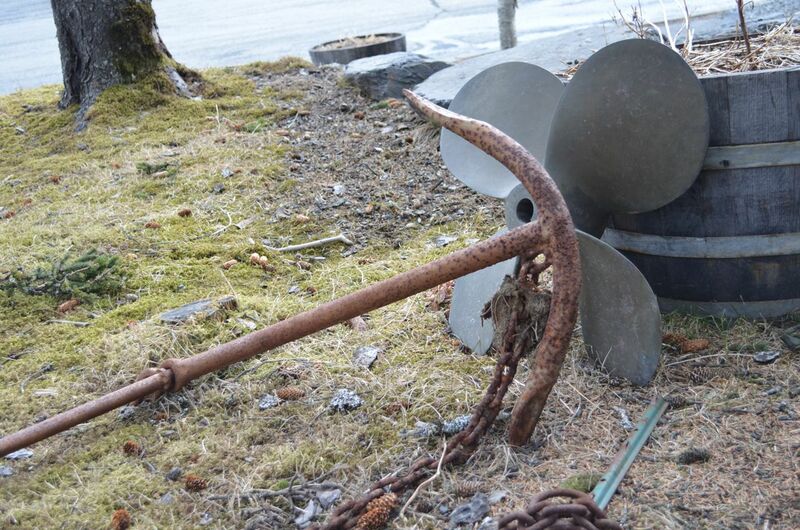 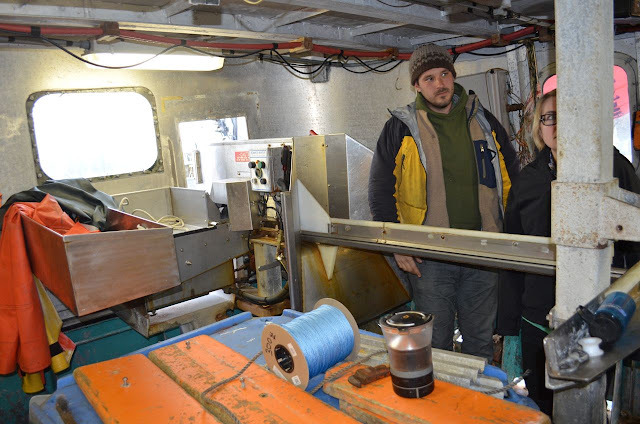 Eliza, having grown up in the fishing industry in Alaska, had a longtime family friend in Kodiak who is a fisherman. He was getting his boat ready to begin the summer fishing season and was kind enough to give us a tour of the two boats his family owns, as well as a tour of the St. Paul Harbor, Kodiak's small boat harbor. 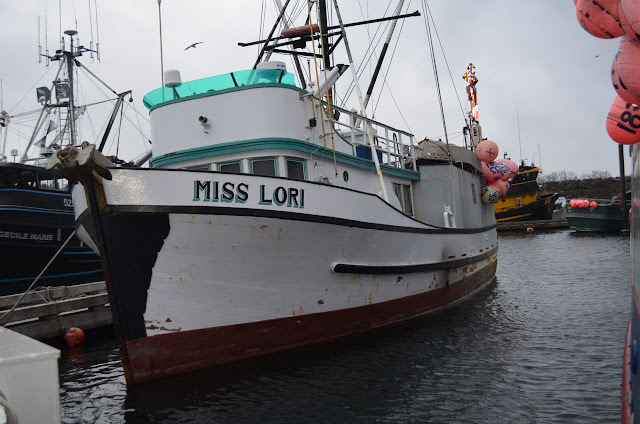 Having seen many boats from the outside, it was cool to see what a long line fishing boat looks like inside. 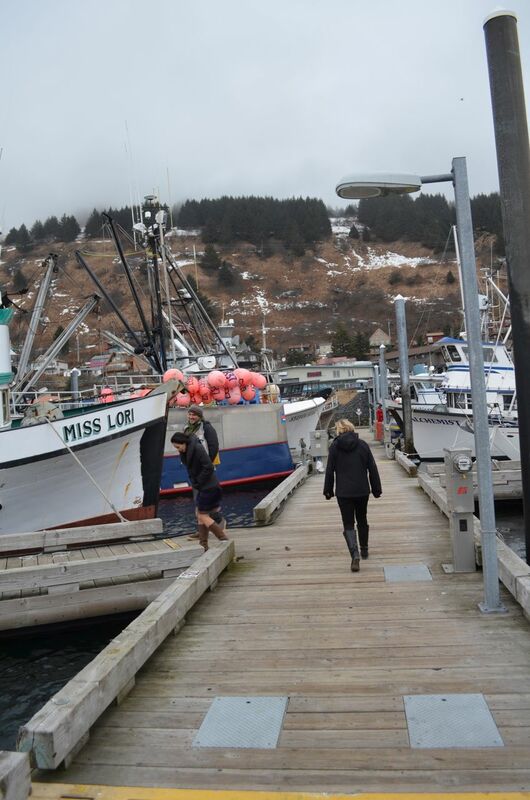 Eliza’s friend uses the long line fishing technique to catch halibut and scallops. 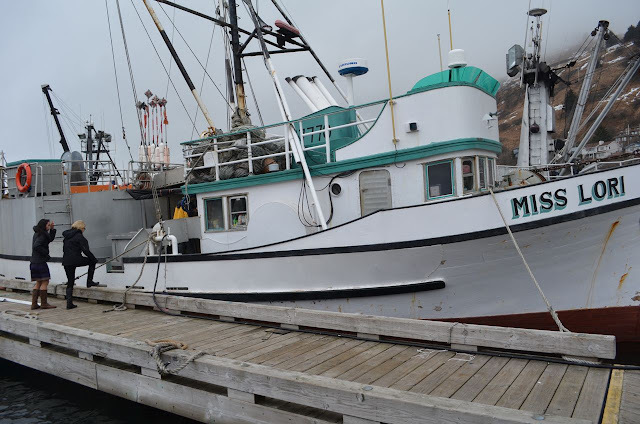 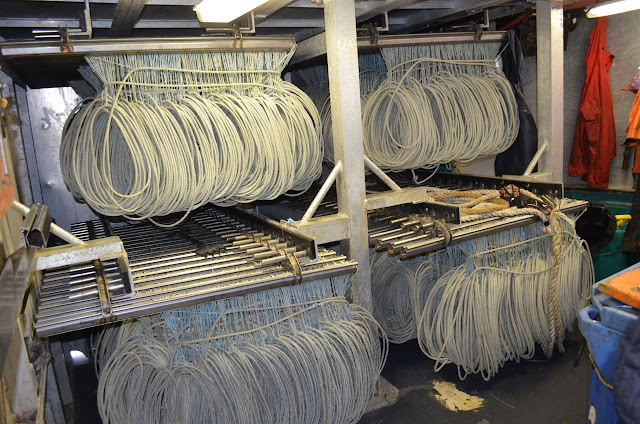 They have two boats that typically go out for single day catches, and upon returning to the harbor, sell the catch to a local fish processing plant. The boat is cleaned up and prepared for the following day when the same thing happens again. After briefly learning about fishing in Kodiak, we headed to Shelikof street to check out Pickled Willys, a new business in Kodiak that pickles different types of fish, including salmon, halibut, ling cod and king crab. All of the fish is purchased from fishing boats in Kodiak and the king crab is purchased out of Bristol Bay (there are no king crab in Kodiak). 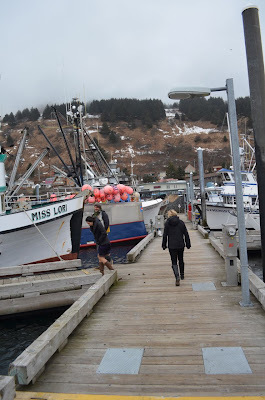 After samples of each, Eliza and I both purchased a jar of the ling cod, salmon and crab. 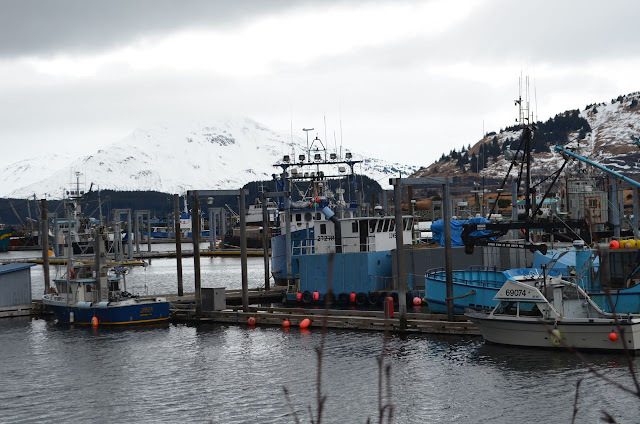 We then dropped by the Kodiak Island Brewing Company to fill our growlers (Liquid Sunshine for me) and headed for the airport. 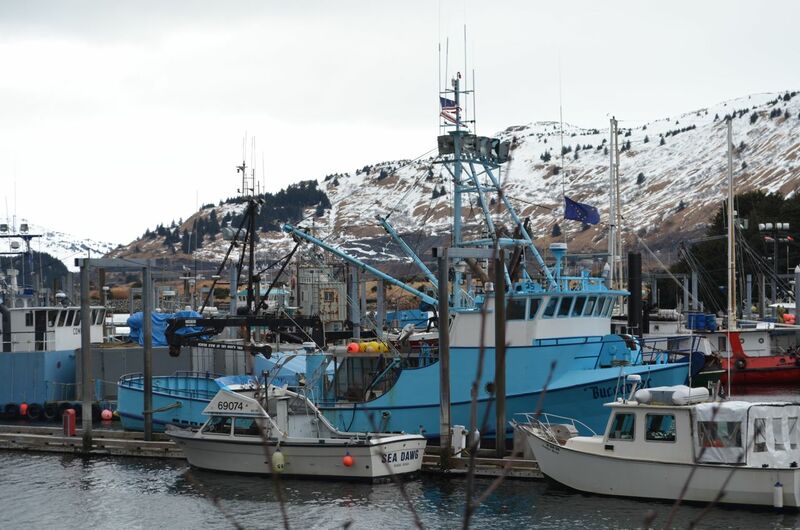 It was a loaded few days in Kodiak but still a great adventure. 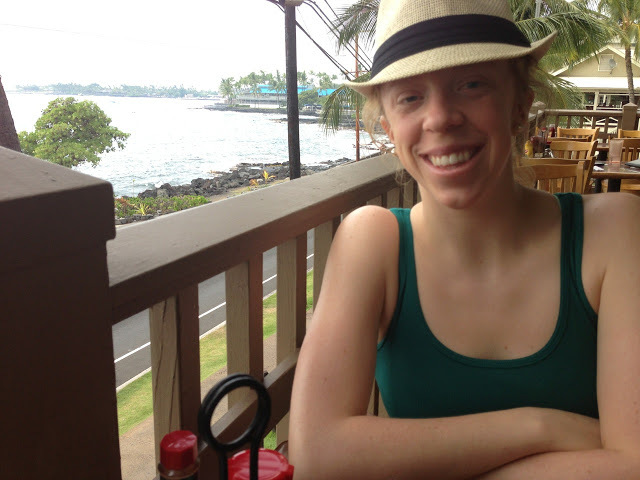 I can’t wait to get back soon!